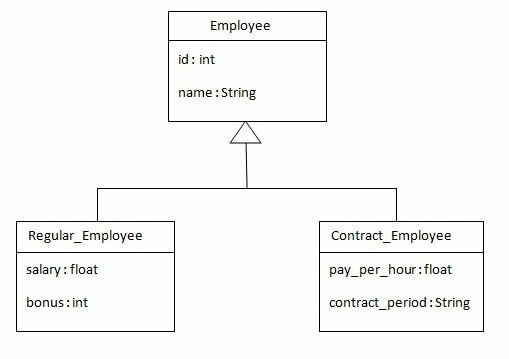 As we have specified earlier, in case of table per subclass strategy, tables are created as per persistent classes but they are treated using primary and foreign key. So there will not be any duplicate column in the relation. In this example we are creating the three classes and provide mapping of these classes in the employee.hbm.xml file. 2) Add project information and configuration in pom.xml file. Open pom.xml file and click source. Now, add the below dependencies between <dependencies>....</dependencies> tag.